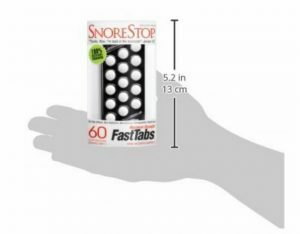 What Are Snore Stop Tabs? This snoring aid belongs to the category of alternative snoring aids. As such, it should not be used to alleviate snoring issues caused by serious medical conditions such as obstructive sleep apnea. 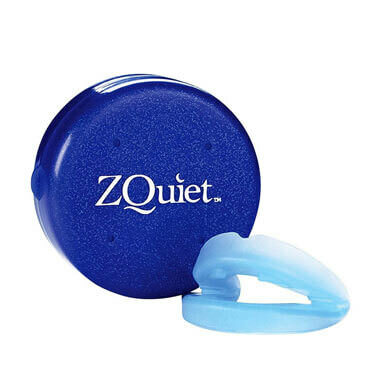 The product does not work for everyone and it is not likely to fully eliminate snoring. There probably isn’t a single adult person in this world who has not been affected by snoring at least once in their lifetime – if they do not snore themselves, they must have been in the vicinity of someone who does. That is how common snoring is. It is a problem that affects around 90 million people in the US alone. However, this number can and probably will go down soon in the future because there are now all kinds of fantastic anti-snoring solutions that people can use. 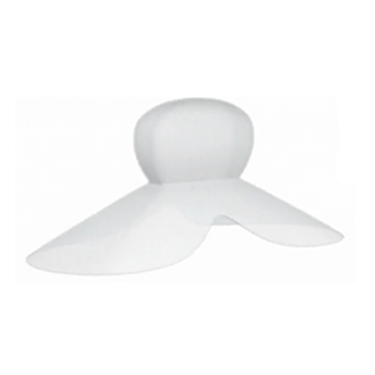 Read our Snore Stop Tabs review to learn more about this ingenious snoring aid. Snore Stop Maximum Strength Fast Tabs are a homeopathic remedy in the form of tablets, which aims to help snorers whose snoring is caused by nasal congestion or the swelling of the soft tissue in the back of the mouth. Both these issues disrupt the normal airflow which leads to vibrations or sounds that we call snoring. By reducing the volume of the soft tissue and by alleviating mucus build-up in the nasal cavity, these tablets mitigate snoring and can even stop it altogether. 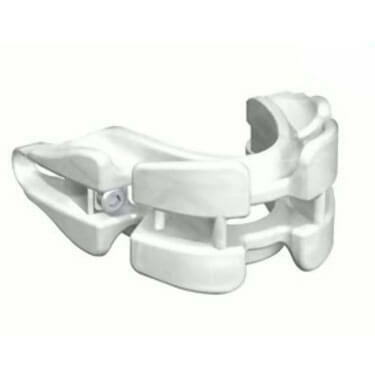 Snore Stop Maximum Strength Fast Tabs are easy to use although some preparation time is involved. Namely, each night, around 30 minutes before bedtime, one tablet should be chewed or sucked and the process should be repeated at bedtime. It should also be noted that the best results are achieved when the product is used between 3 to 5 consecutive nights. Everyday use is said to be more effective, but some people can benefit just as equally when they use the product every other night. For maximum results, the manufacturer recommends using the tabs together with the Snore Stop Extinguisher or with tongue retaining mouthpieces. What makes Snore Stop Tabs different from the majority of anti-snoring solutions is the fact that this is a homeopathic solution. While researching for this Snore Stop Tabs review, we found that people are much more willing to give this aid a try because its use does not lead to horrible side effects or addiction. Of course, the fact this product is not another uncomfortable device is a huge plus too. The idea of using a product made of natural ingredients is something that we took to immediately. The real effects didn’t kick in until a few nights of using the tabs, but when they did, we were really amazed. We did encounter some testimonials by people who didn’t benefit from these tabs, but this is always a possibility with homeopathic remedies. 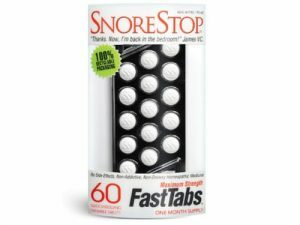 With the price of just above $9.00 – or just under $9.00 if one takes advantage of available discounts – Snore Stop Maximum Strength Fast Tabs are inarguably affordable, especially when you consider that for such a low price, you get a month long supply with 60 tablets in total, 2 for each night. If you are still unsure if Snore Stop Maximum Strength Fast Tabs is right for you, check out the key advantages and flaws of this snoring aid. With such a low price for a product that will last at least one month (if used on a daily basis), our Snore Stop Tabs review is definitely struck gold, as this is a solution that is worth trying out for more than just one reason. In addition to being quite affordable, it is also natural and can help without causing any discomfort or side effects. Our ratings are the result of an objective and independent evaluation of Snore Stop Maximum Strength Fast Tabs, generating the final rating that reflects the overall quality of the company. Ratings may change as the product introduces changes. Snore Stop Maximum Strength Fast Tabs user rating based on 6 user reviews. These are great if you want to avoid all the cumbersome snoring aids and still look feminine and attractive for your husband. Let's face it, snoring isn't the most feminine of qualities and I was definitely embarrassed in front of my partner even though I know I shouldn't have been. So, if you're looking for an elegant solution to your snoring problem, these works for me the very first night. Not even a peep. I'm currently on my second package, and they definitely work even better than the original. It's a very simple and effective way to curb your snoring and allow your entire household to finally sleep peacefully. Just to put things into perspective, I was a heavy duty snorer before I started using these. I've tried a couple of chin straps before I heard about these tabs and got a nasty rash in the process. These have no side effects whatsoever (for me at least) and they work like a charm. I am all for homeopathy and when I heard there was a homeopathic pill for snoring, I had to try it. My husband tells me they are definitely helping. I also have a feeling they are. Nothing like nature! My sister is crazy about natural pills, supplements and all that. About a month ago, she brought me these anti-snoring pills (probably because my wife asked her to). I have been using them since then and according to my family, I am snoring less. I couldn't tell you myself. I tried the pills. They don't work for me. Maybe it's because I also take sleeping pills. These pills don't do nothing. My wife is snoring as much as she used to. We'll keep trying for another week, but no more. We found 0 verified Snore Stop Maximum Strength Fast Tabs discounts for April, 2019. There are no Snore Stop Maximum Strength Fast Tabs coupons or discounts right now.